Happy Sunday! As we prepare to begin a new year, most of us spend at least a few minutes thinking about how we want the year to be different. We think about our hopes and dreams for the future and for many of us, that includes some resolution to live a more peaceful and centered and loving life. Peace begins within us, but when we harbor anger and ill-will towards others we will never know peace. Forgiveness is hard. It is difficult to forgive others who have wronged us, who have never said they were sorry, who may not even acknowledge that they hurt us. But, God asks us to do it because he knows forgiveness sets us free. Forgiving others does not mean their behavior was okay. It does not mean the wrongs are swept under the rug and forgotten or give someone a free pass to hurt us. It does allow us to heal, to draw closer to God, to experience peace. 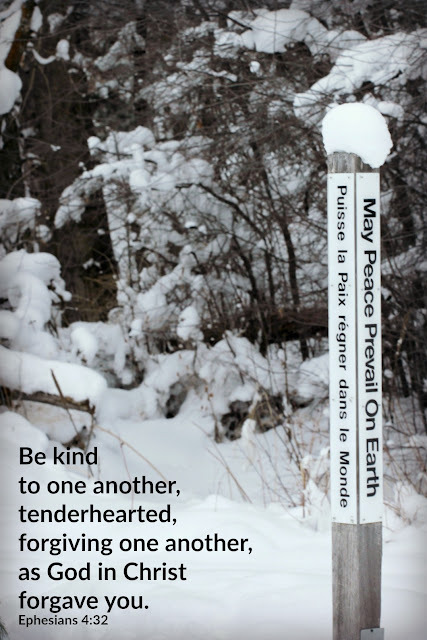 Let's start the new year experiencing the peace that comes from forgiveness. How is it that 2017 is coming to a close already? Wow, time really does fly when you are busy and as you get older. 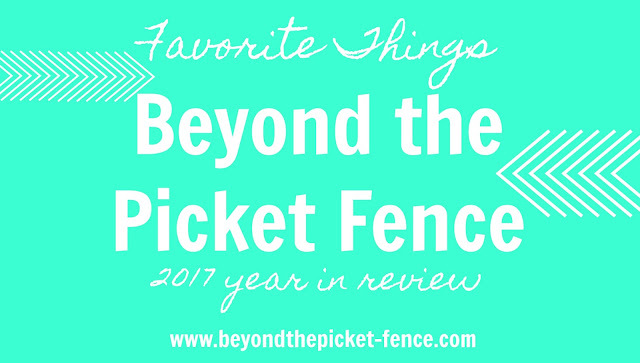 I always like to take a few days at the end of the year to reflect on the past year and share with you a few of MY favorite projects. I am telling you, a blog is a great "diary" and really does help you feel like you accomplished something over a year. Many projects I forgot about and found new homes. Happy Sunday and Merry Christmas! I can't imagine how I might have felt if I was there with the shepherds when the angel appeared to them. I am guessing I would have been frightened, but also amazed. 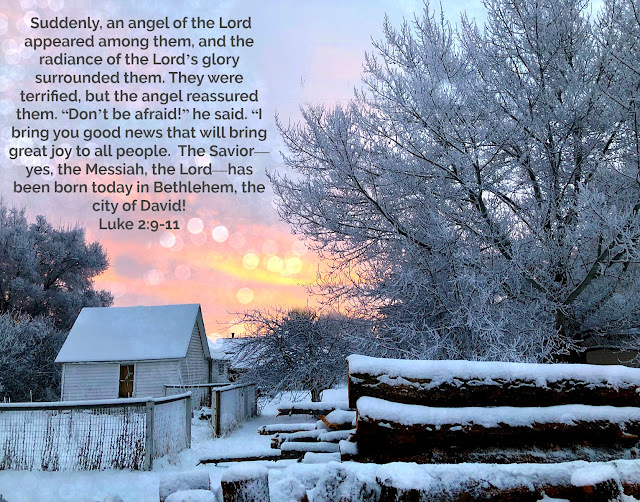 What I love about these verses is the angel calls his announcement GOOD NEWS. He says that it will bring GREAT joy to ALL people. Jesus came to earth to bring us love and joy, not condemnation and judgement. Jesus came to love you exactly the way you are, unconditionally without reserve or demands. And that is GREAT news and a reason to celebrate. One week until the BIG day, are you ready? I am for the most part. I haven't done any Christmas baking yet, but that will happen this week. If you still have a few projects you hope to complete or a few gifts left to make or just want some inspiration for next year, I have a treat for you. Today, I am teaming up with some of my favorite bloggers to bring you some last minute inspiration. 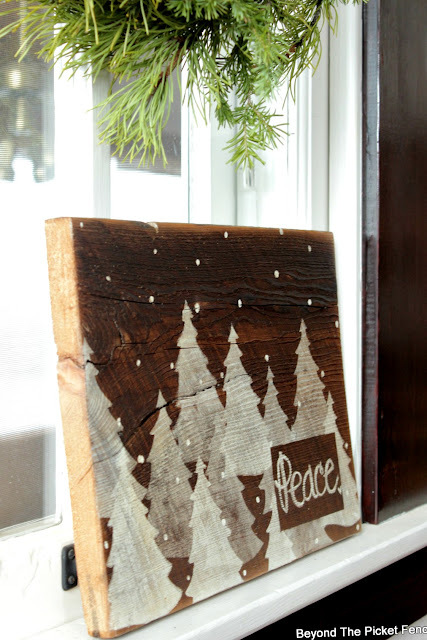 We are sharing some NEW ideas with you and some favorite past Christmas projects. So, settle in for a long winter's perusing and enjoy! I had this sign pictured in my head for awhile now--creating it was even EASIER and QUICKER than I thought. If you have ever been in the woods when it is snowing, you know how peaceful it is. I wanted that same feeling with this sign--peaceful and simple. The sign works great throughout the winter, not just for Christmas. Happy Sunday! Being someone who enjoys taking pictures means that I am always looking for good lighting--the right light, perfect light. And just as light changes photographs, the light of the world, Jesus, can change us. 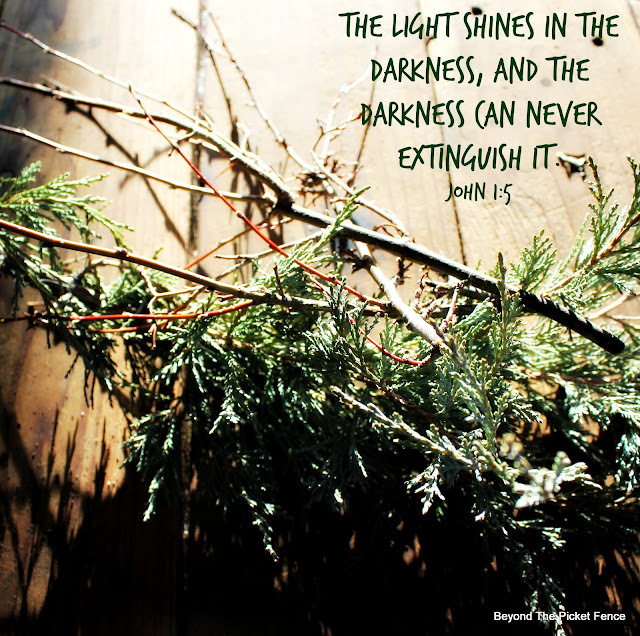 This verse from John brings us hope that even in the darkness, even in the hard times, LIGHT continues to shine. It is changing things, changing us, overcoming the dark. Jesus came to be light that triumphs over darkness, hope that wins out over despair, peace that prevails over strife, love that conquers hate. Today and in this season look for the Good Light and know that it, HE, can and will change you and will overpower the darkness. A light bulb garland for the wall, banister, or tree. Why did I revive the rhymes this year? Anyway, we have FINALLY arrived at day 12 of projects. 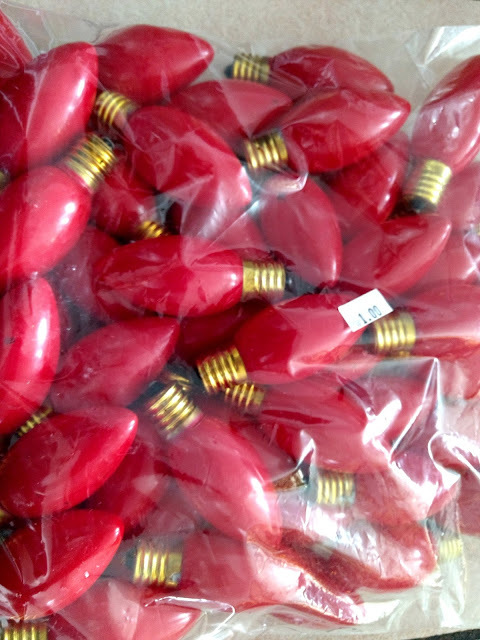 When I spied this bag of red vintage style Christmas light bulbs for $1, I had no idea what I was going to create with them, but said what the heck, I will come up with something. The big bulb lights like these always remind me of my dad. He was a fairly meticulous man and worked hard to decorate the outside of our home with lights like these. They were all red a few years and colorful others. In those days (the seventies) it was popular for kids to steal the bulbs. I remember him getting pretty mad and frustrated to find missing bulbs, but he would replace them. The memory makes me smile. Happy Sunday! It is advent, a time to reflect and prepare for the joyful celebration of the birth of Jesus. BUT, for most of us it is all about being too busy and too stressed and having too little time.. This verse, one of my favorites, makes me want to take a deep sigh. It reminds me that God is not looking for busy religious activity from us. He does not want big, complicated performances and gestures. He simply wants us to walk with him, to look around us for those that are right in front of us who are in need, and to then act mercifully with those people. 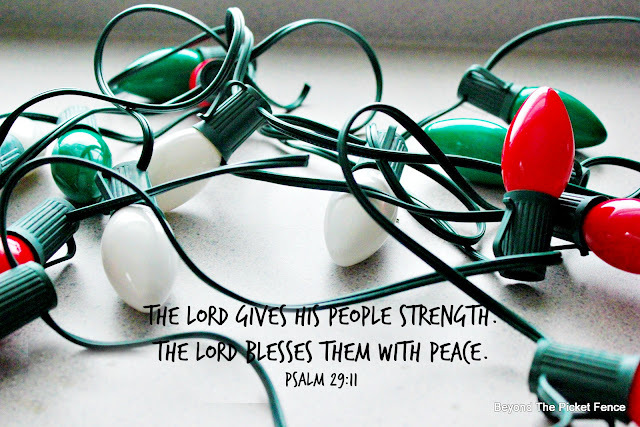 In this season of advent let's practice slowing down and enjoying the season. 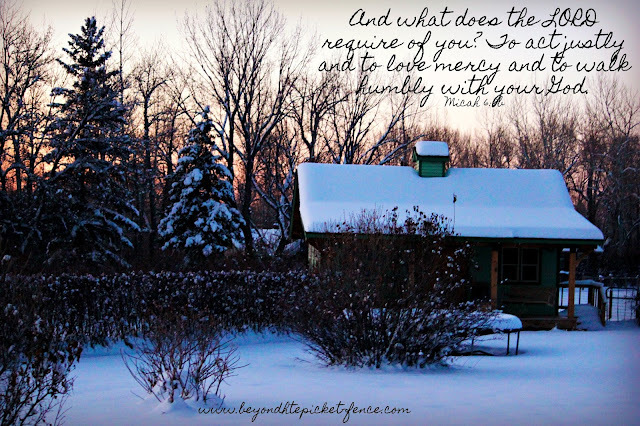 Let's breathe and look for those opportunities where God wants us to act justly and walk humbly with him. 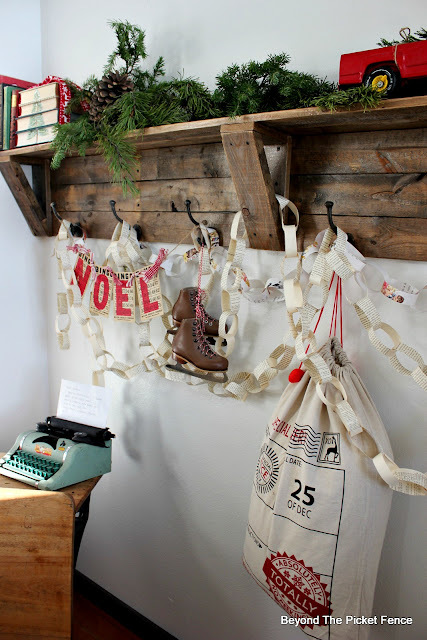 Old book ideas and a decorated entryway. Um, ya, that doesn't rhyme and yes, I am "cheating" and combining two days again because there are all sorts of thrift store Christmas decor ideas in my entryway. A station for hot cocoa, coffee, and tea. 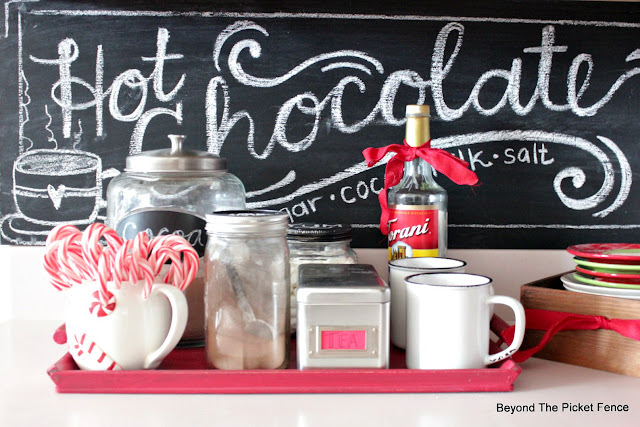 I am not sure who came up with hot cocoa and coffee stations, but I must say they are one of my favorite new traditions for the holidays and winter. They welcome family and guests and just say, "Stay and be cozy and enjoy." I have been using an old drawer for mine, but decided I wanted something a bit smaller and not so obtrusive. A thrift store wood tray was the perfect item to hold and organize my hot drink goodies. "Let's upcycle a thrift store frame!" 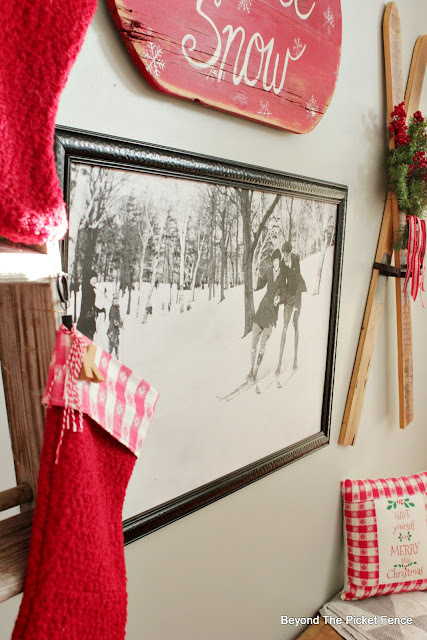 So, today's thrift store upcycle for Christmas is certainly nothing new, but it is an EASY and INEXPENSIVE way to create something new for Christmas. Happy Sunday! Do you ever wish you had a "pass" to get through life--you know, something that would make the wrongs right, give you a fresh start, and make life more doable? Thankfully we do, we have GRACE. Grace is the thing that makes enduring through and enjoying life possible. Grace is the gift of pure love, it forgives all things, it transforms us. Grace tells us that there is nothing we can do that will change God's love for us or his behavior towards us. 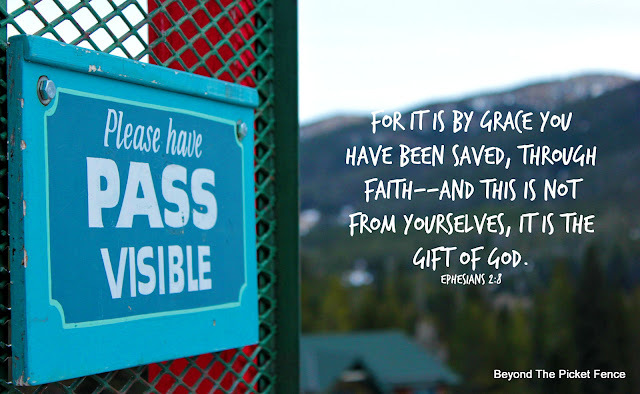 And while grace is not a free pass to DO anything we want, it is the gift that brings us justice and mercy and love every day and I am thankful for it. 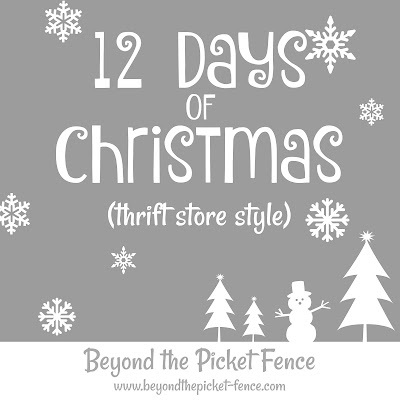 On the twelfth day of ChristmasBeyond the Picket Fence was very pleased,to share a simple, thrift store centerpiece. We recently downsized from a seven foot long table to a round table that has two leaves. After all, there are only three of us living here these days (with two adult boys out of the house) and a seven foot table was a bit much. 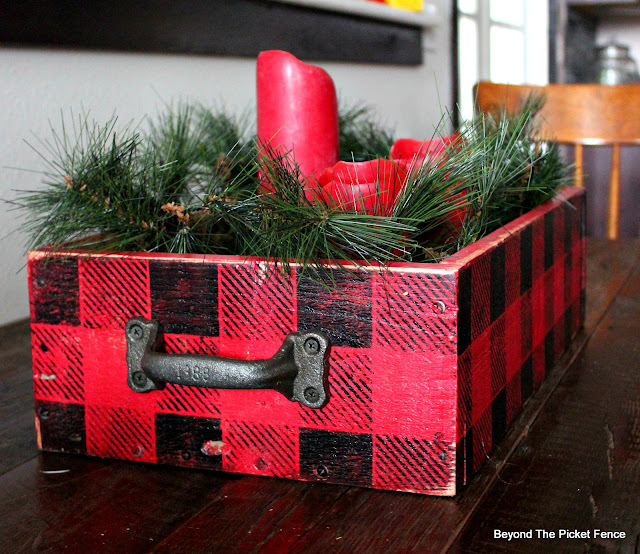 A new table meant I would have to rethink my centerpiece for Christmas because I typically use a rectangular tray. I knew I wanted something round, something simple, something with some height, and candles. Stockings and a hanger that are delightfully. Ooh, the rhymes are getting bad. And the days are getting closer to Christmas so I decided to combine two days because there are several thrift store finds in this stocking display. Ladders are a pretty common find at thrift stores or building reuse places like Habitat for Humanity Restores. 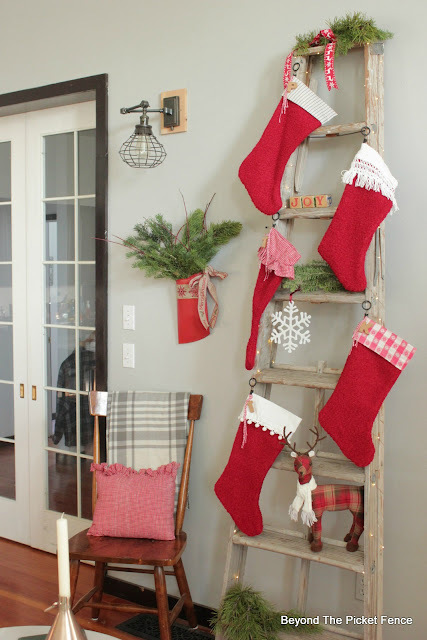 This tall one is pretty rickety and past its prime for safety standards, but makes a perfect stocking holder or hanger (which do you call it?). 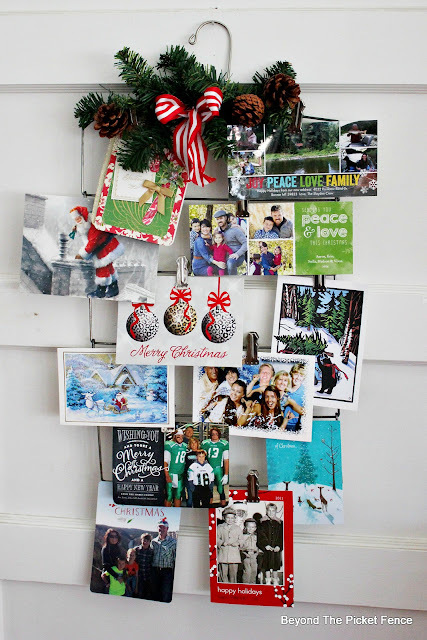 a Christmas card holder that is super easy. Happy Sunday! 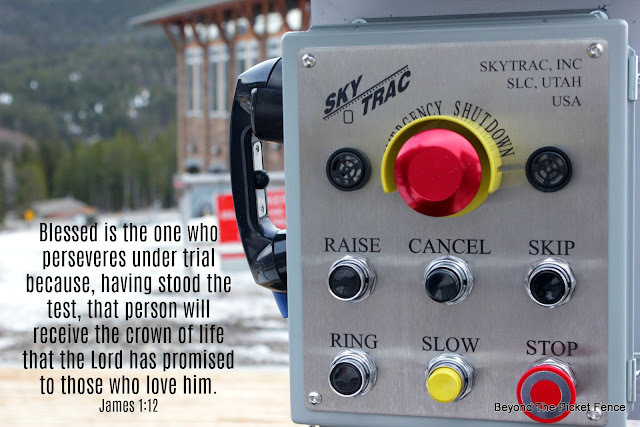 During a recent stop by the local ski hill (which was not open yet) to check out the new ski lift, this safety panel caught my eye. I thought, "Gosh, how many of us wish we had a similar control panel on our lives?" What if we could simply cancel the tough stuff, slow life down, skip a trial, or use the emergency shut down button when we didn't want to go through something? But, unfortunately, life does not work that way and we ALL have hard things to experience and endure. Persevering through the trials makes us stronger, more mature, and transforms us more into the people God wants us to be. Jesus knows life is not easy, he sees us struggle, and through it all he promises to never leave us, he promises to comfort us, and he promises to turn our defeats into victories. These promises encourage me and help me to endure during the trials and I hope they encourage you too. Have a wonderful week! an upcycled thrift store wreath! 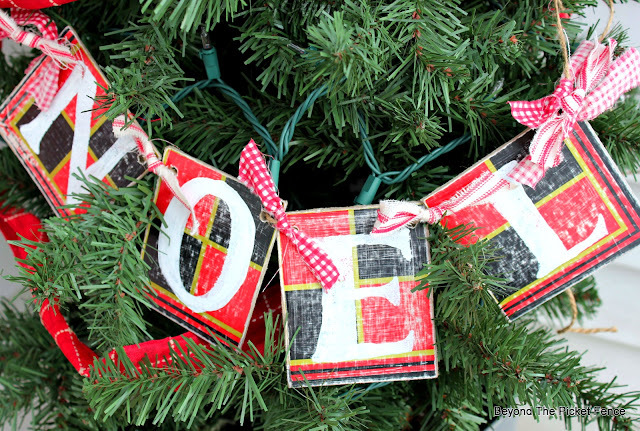 Have you priced out faux greenery and wreaths lately? Yowsa! The thrift stores I have been perusing lately have had no fewer than three pine wreaths--some pretty good looking ones and some not so much. I purchased this one for $1.99. The key to upcycling what may be a tired looking thrift store wreath is to add to it. 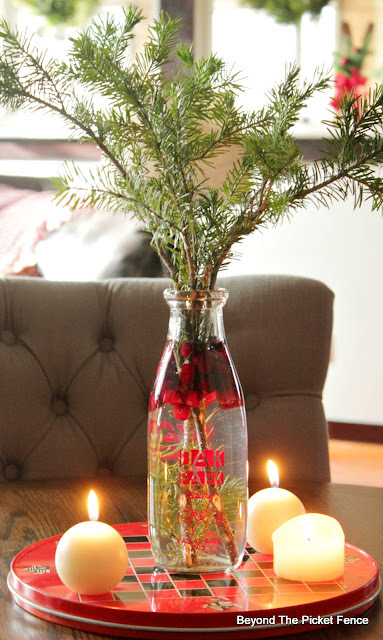 You can add Christmas balls, small toys, berries and twigs, kitchen utensils, mittens, etc. 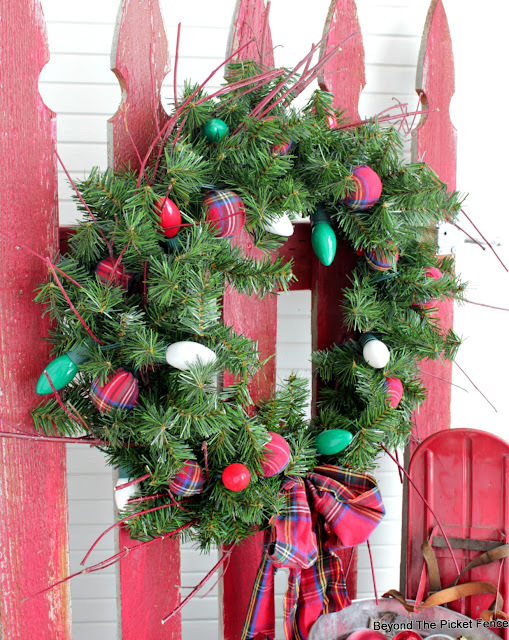 Check out the thrift store aisles to find the perfect wreath filler that fits your decor! Happy Sunday! This past week we started hauling the Christmas boxes out. It seems that no matter how well we put things away, there is still work to do to prepare everything before we can use it. The lights are typically the biggest challenge, untangling them and making sure each bulb works. We find that it is best to start at one end and work light by light--it is much less overwhelming and easier than trying to work with the whole strand at once. Life often feels like a tangled strand of half-working lights. It is messy and all of the parts aren't working for us. But...God is with us, untangling each "knot", and if we let him, fixing each piece that needs it. It may happen bit by bit, but he promises us that HIS strength and peace is with us through it all. Let's rest our jumbled, muddled lives in that truth. An old game board garland for my tree. 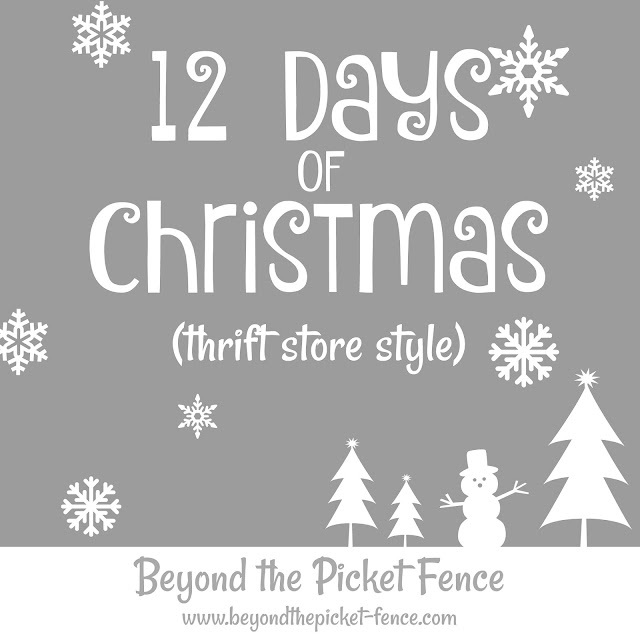 On the first day of Christmas,Beyond the Picket Fence did share,a cute, thrift store, red porch chair! 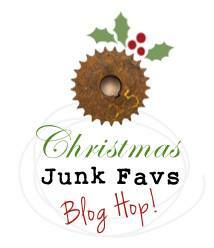 Y'all, I am soooo behind on my annual 12 Days of Christmas Posts! I typically start on November 1st, and here it is the middle of the month and I have not started. But, I have been thinking and planning. I really liked what I did last year (You can see it HERE) so I decided to not switch it up too much. 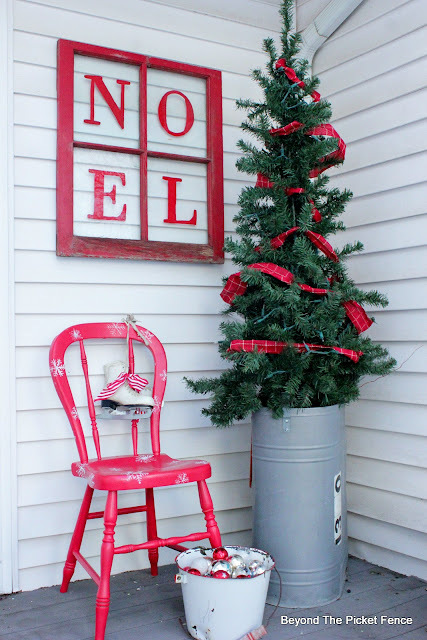 So, for my eighth year of 12 Days of Christmas I decided to make some simple things to add to my rustic decor using thrift store finds. I will be using items that are pretty easy to find at thrift stores, rather than one of kind things. So, to be honest, when I spied a pair of vintage snowshoes at a garage sale, I hesitated. They were metal, not the older wood type and well, I just wasn't sure what I was going to do with them. But, the price was too good to pass up so I purchased them and I am glad I did. 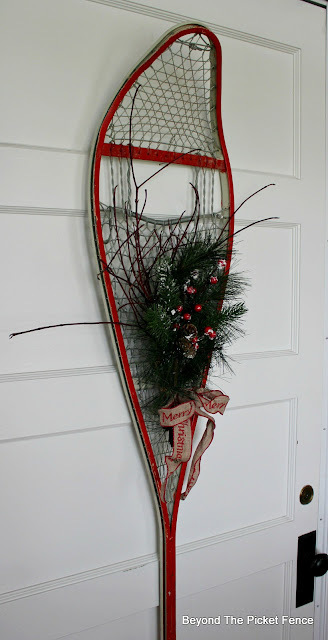 I few twigs from my yard, some pine boughs from the craft store, and ribbon dressed the snowshoes up for the holidays. Happy Sunday! If you have ever been on the Going-to-the-Sun Road in Glacier National Park you know that it is quite the engineering feat. The road was designed in 1918 and not completed until 1933 (some sections were not paved until 1952). Parts of the road that were constructed prior to 1925 had to be rebuilt because they had been built to lower standards. God's ways are similar to building an amazing road. They take time, but following a plan and doing things HIS way is always better. We may not instantly see the end results or understand what he is doing. 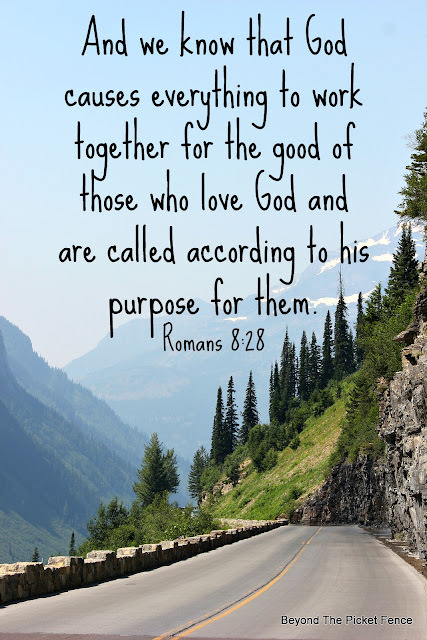 We may think that trying doing life our way is easier, but our God is good and he wants good things for us and he will work all things out for the best if we trust and follow HIS way. 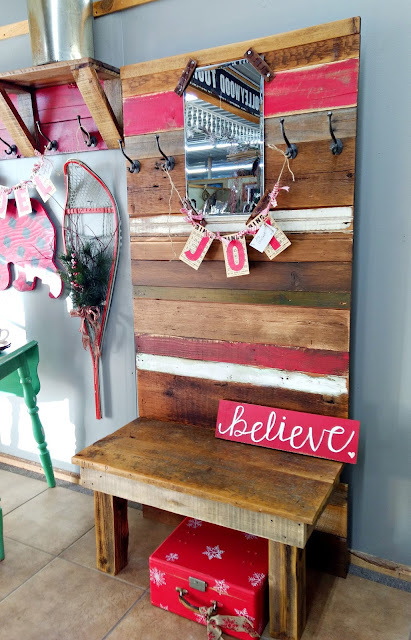 (I made this one from pallets, but you can find unfinished wood crates at the craft store or *affiliate link* HERE) gets a cabin makeover with Funky Junk Interiors Old Sign Stencils. Happy Sunday! Day to day living, doing our routine sure can make us complacent and keep us from doing the challenging things. Let's face it, just getting through the "normal" stuff can be tough, let alone stepping up and out to take on something new and scary. And, the enemy knows that and wants us to stay in our comfort zones, to quit, to be indifferent and ignore what we might be being called to do. But, God has something better for us. 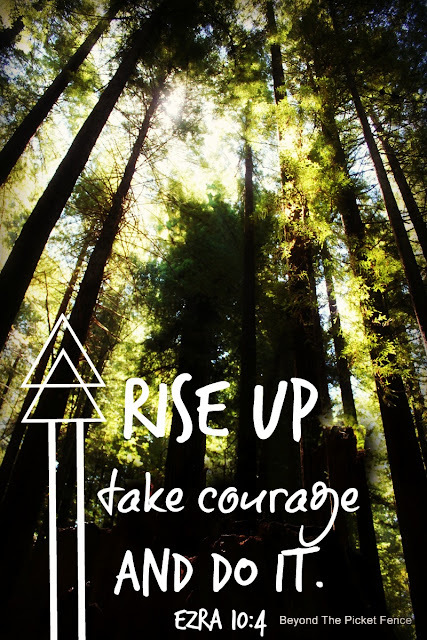 He wants us to rise up and do the hard things with him and for him. I want to take courage, HIS courage, and do what he is calling me to do, even if it is scary because I KNOW he is with me. 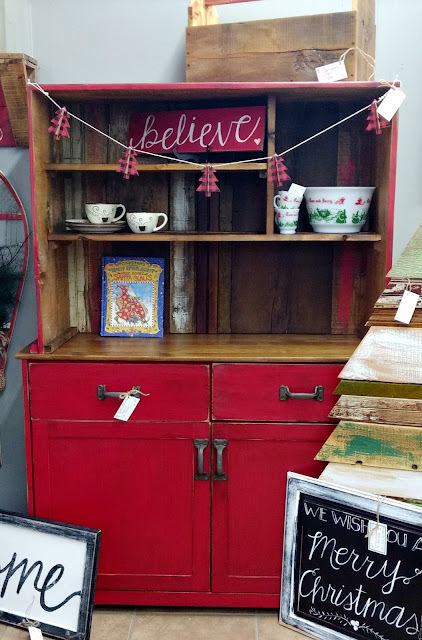 When I spied this cupboard at the thrift store for a great price, I grabbed it. Originally I thought I would make it into a kitchen island. But, after looking at more closely, I saw that it was taller than a typical island height and fairly narrow. 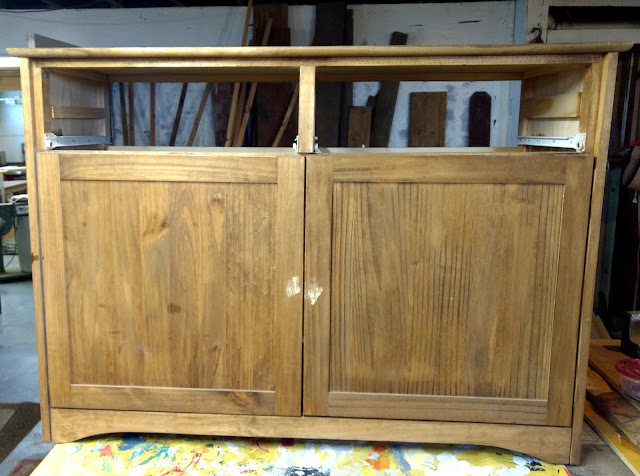 That is when I realized it was probably the bottom of a hutch and that I could give would make a great rustic farmhouse hutch. Happy Sunday! When life gets hard it is comforting to know that someone is on our side and there for us, supporting us and going through the tough stuff with us. 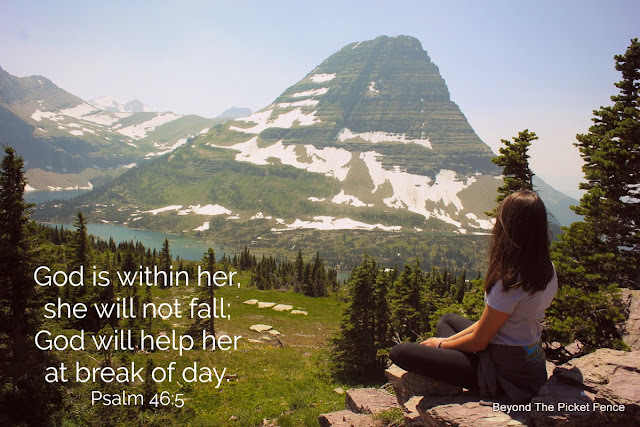 And while friends and family may be beside us and around us in our trials, God is WITHIN us. He is not standing off to the side, watching from a distance. He is in the middle of our circumstances, suffering with us, holding us up, guiding and protecting us, weeping and hurting with us. Be confident in knowing that no matter what you may be going through, God is with you, in you, giving you strength and encouragement and unconditional love. Happy Sunday! "What the world needs now, is love, sweet love..." Lately, I have been finding myself singing this song from my childhood and I have been reminding myself love over anything else. And let me tell you, it is not easy. I want to be right, I want to let people know when my anger is justified, I want to yell, "Why are you being so mean and hurtful?" But, being right and being mad and being frustrated keeps me from doing everything with love. 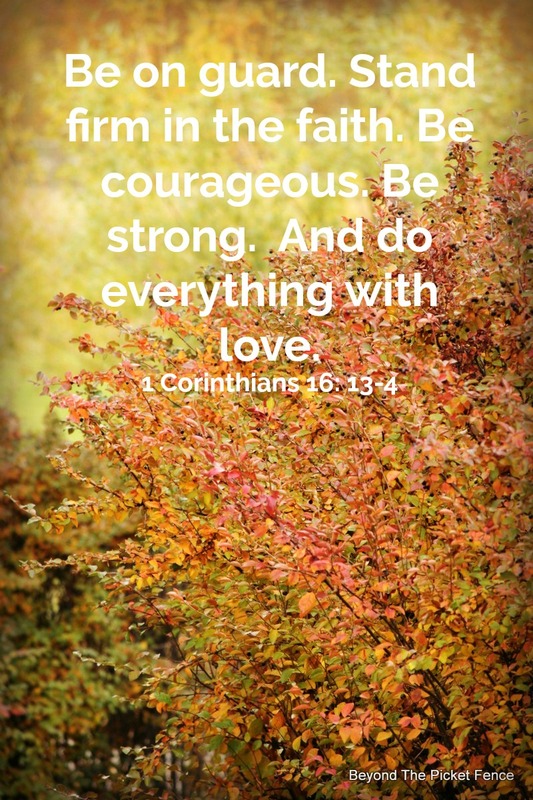 It takes courage and strength to stand firm in our faith and to let things go, to overlook an offense, to choose love above all else. But, it is what Jesus does for us and what He asks us to do. This week, let's work, I mean really work hard at choosing love FIRST.